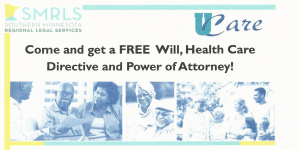 DO YOU NEED A WILL OR A HEALTH CARE DIRECTIVE? 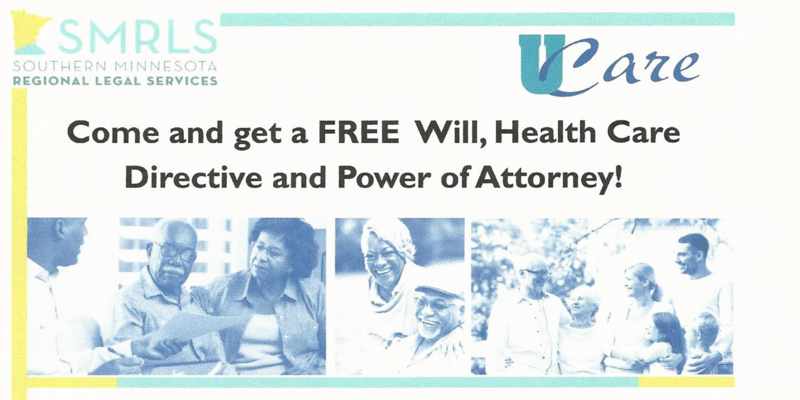 If you are a senior on a fixed income, you may be eligible for a free will! Southern Minnesota Regional Legal Services (SMRLS) is hosting the clinic at the La Crescent public Library on Tuesday, April 17th, 2018. Appointments required. Available times are 12:00pm and 1:30pm.